The Descendants of Cain opens on a village celebration of Korea’s recent liberation from Japanese rule. Amidst the drinking and dancing, petty rivalries and minor grudges simmer, when the party is interrupted by the threatening presence of a returning husband, Cheo. Now an officer of the Workers’ Party, Cheo is back to implement land reform, removing property from the hands of wealthy landowners and distributing it amongst the peasant farmers. One such landowner is Park Han, a respected local figure and founder of the school, at which the newly appointed Workers’ Party has taken as their base. Cheo’s wife, Ojaknyeo, works for Park and a deep admiration exists between the two, even if his deep sense of propriety means it cannot be expressed. While this socially impossible relationship plays out, Ojaknyeo’s father Do-seop falls in with the brutal communist party and its efforts to turn the villagers against the landowners with promises of property and power. Dark times loom on the horizon for all. 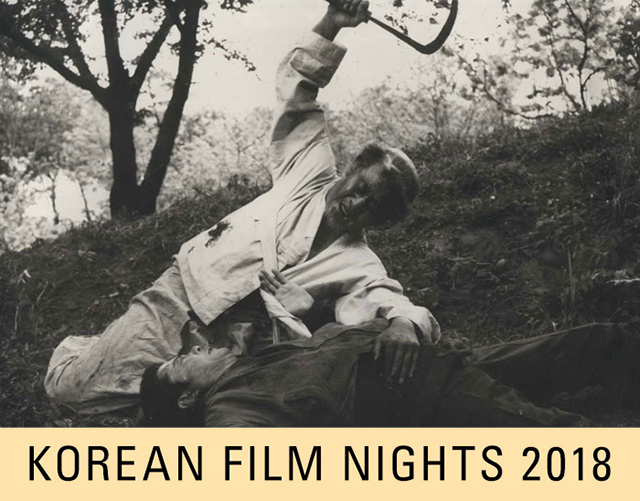 A striking piece of anti-communist propaganda, The Descendants of Cain is one of many such films in the canon of revered film activist, educator, and director Yu Hyun-mok. Adapted from Hwang Sun-won’s autobiographical novel, both author and director shared similar experiences to those depicted in the film.